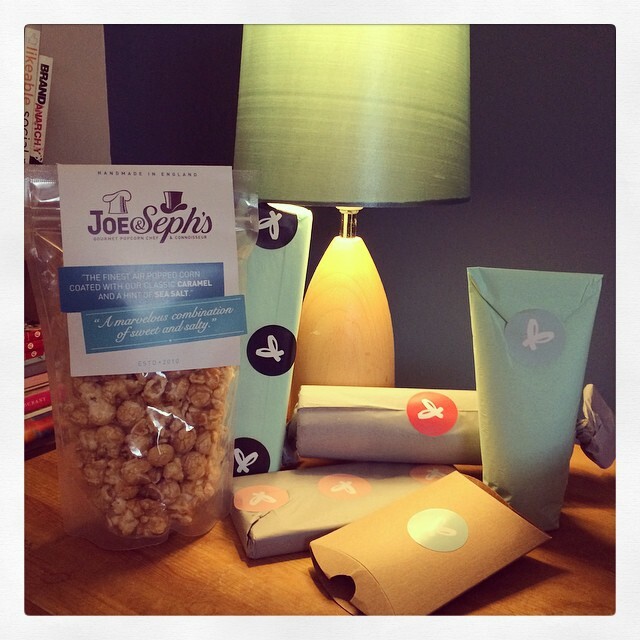 Review: The Perfect Pamper Parcel. A few weeks ago I had a horrible day in which I was made to feel rubbish and worthless and vile by someone in the name of doing good. It wasn’t a nice feeling and, although I picked myself up again, it knocked my self esteem and courage for six for a few days. Seeing me sad, a lovely blogger friend with a new business decided to send me something to cheer me up. There were no strings attached and I didn’t have to write about her but her idea is so lovely, the gift she sent me so beautifully put together and the effect it had on me so perfect that I decided I would anyway. Rosie is a blogger. She is also a busy working single mum, a writer and a marketeer and one of the loveliest people I have got to know through blogging and it was no surprise to start reading about her new business and see what a beautiful idea she has put together and just how very ‘Rosie’ it is. She came up with the concept while slogging in and out of London on the daily commuter grind; she reasoned that everyday life is hard work and we all need some down time, a pamper, a treat. Rosie came up with the concept of pamper parcels, ones you can gift to yourself or send to someone else – and the gorgeous thing about them is the brands she has chosen to work with. By picking carefully she champions other small businesses and values she holds dear, both giving back herself by these decisions and allowing purchasers to do the same. We’re conscious about the impact to others of every item we include in our parcels. So we’ve opted for natural, organic and Fairtrade products from reputable companies we respect and value. We’re also, naturally, supportive of other independent businesses and include items from their businesses in our parcels too. The parcel arrived in a gorgeously printed box (recycled material) and each item individually wrapped in tissue and pretty stickers and the box jam packed with fabulous treats. Being a brave girl (and not normally famed for my patience!) I made myself hold on and open the box in stages to prolong the fun. I didn’t open it at all until I had my weeks work done. Then I took each item out one by one and admired it. Then I opened one item after another, day by day. 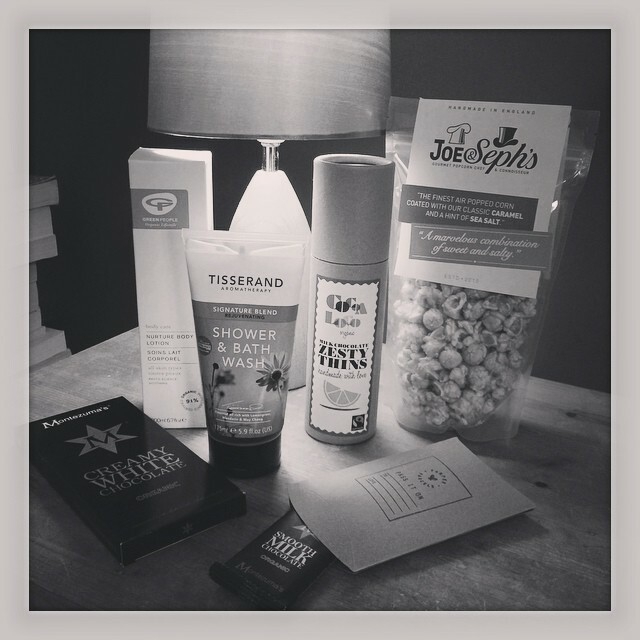 Rosie had put such a lot of care into choosing items for me; the chocolate was divine, Tisserand is one of my favourite brands and the shower wash is just glorious and I’m still holding back the body lotion for a day when I need to feel particularly delightful. The little envelope is particularly fabulous; the Pass It On concept is (apart from brilliant marketing 😉 ) a fab way to give a friend a treat from your treat. So powerful is the concept that I haven’t eaten that extra bit of chocolate and I know exactly who it is going to when I next see her. If you are stuck for gifts this year, I highly recommend this little business. You can order personalised gift boxes on her extremely beautiful and slick website. Disclosure: I know Rosie. She sent this to me for free. I didn’t have to review it as it was a gift. But I did, because it is fabulous.